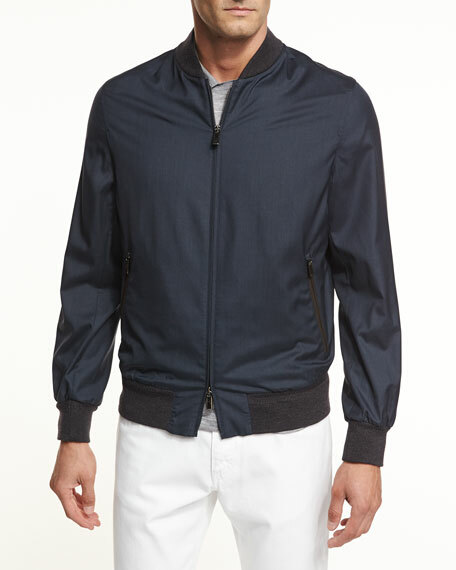 Ermenegildo Zegna "Second Skin" lightweight woven bomber jacket. 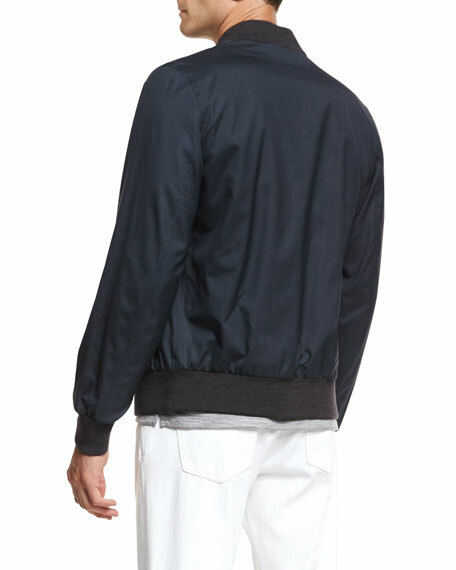 Ribbed baseball collar, cuffs, and hem. For in-store inquiries, use sku #2207831.